I have seen similar recipes all over the internet for several months. I didn’t add what a lot of other blogs have added to theirs so I am sharing the recipe here. This one is a very quick recipe. Let me give a disclaimer here. I do not like raw radishes at all. Once radishes are cooked you can’t taste the sharpness of them at all. I promise. I use my Ninja Master Prep Professional daily since I started eating the Trim Healthy Mama plan. I love the shakes, ice creams and ease that it chops vegetables. I use the large one to make the quart shakes that I use as meal replacements and shakes. I use the smallest one to make the Cottage Berry Whip and to chop vegetables. I used the smallest one this morning to chop the onion and radishes for the hash. It really is a time saver. I am single so I made this as a single serving this morning and this is what I came up with. Fry bacon in a skillet and when almost completely cooked through drain grease from pan and add Onion and Radishes that you have finely chopped. Cook until onions are cooked through and caramelized. Add salt and pepper to taste and remove from heat. Before I was diagnosed with Diabetes I had Quaker Raisin Date and Walnut Oatmeal every single morning for breakfast. It was my morning routine. I would take it to work with me and prepare it in the microwave and enjoy it while I printed out my work list for the day. I really missed having oatmeal over the last 5 years but today I found a replacement. I went into this with my eyes wide open. I had been seeing a recipe on Pinterest for a healthy version of “oatmeal” and I wanted to try it but it had ingredients in it that I was prepared to put my nose into the air and say, “Nope! Not gonna happen.” Today I bit the bullet and bought what I needed at the store and the entire time I was making it I kept hearing what my grandson said to me last weekend. We had bought chicken salads at a restaurant and he asked me what the red stuff was on my salad. I informed him that it was buffalo wing sauce and that the salad probably would have been better without it. He thought for a second and said, “At least you tried it Mawmaw. I am proud of you.” Well how was I supposed to take the compliment and then whimp out on the healthy version of “oatmeal”? So I mixed up the “oatmeal” and stood in the kitchen for several minutes before getting up the courage to taste it. Guess what? It is wonderful! I can easily see me mixing up a huge amount of this and making my own instant “Oatmeal” for work each day. Whoohoo!! I am one happy insurance agent/social worker. Of course I had to make a couple of changes to it. The recipe called for a making a large amount of it and then using some of it each day. The ingredients were quite expensive so I didn’t want to waste it on making this and then not liking it so this is what I did. 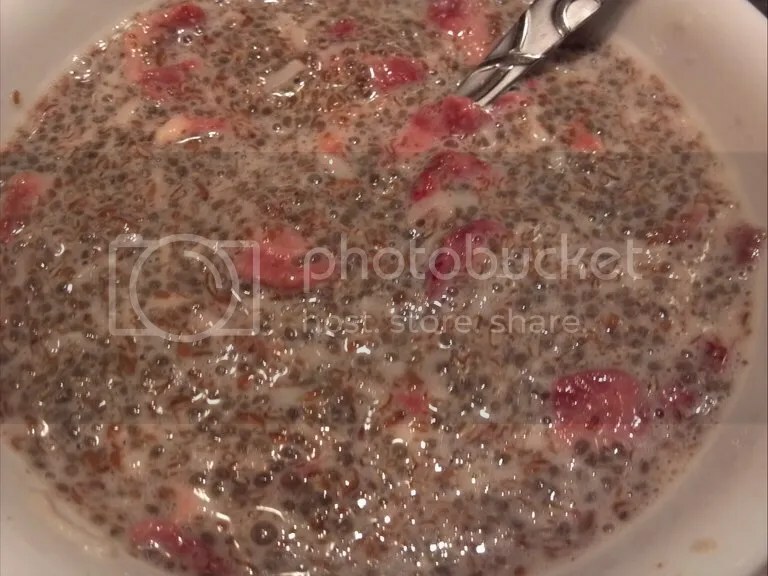 Place chia seeds, flax seed meal, coconut and dried strawberries in the bottom of a bowl. Add 1 cup hot water or more if needed. Allow to sit for 3 minutes and stir well. Add Splenda and cinnamon to taste and almond milk. I figured that this comes to 4 net carbs for the entire bowl. I know for many people they will not consider this to be low carb but it is for me. My sister, mother and I went in together and bought dehydrated strawberries from Honeyville.com a couple of weeks ago. These are wonderful little treats that can easily be rehydrated and enjoyed in recipes. I made a strawberry sauce to go over french toast and it was very light and low carb. I hope that you enjoy it. The bread that I use is low carb. In our area we are blessed enough to have both Heiner’s 35 wheat bread and Kroger’s low carb yogurt. I am so grateful to have both of these items handy at all times. There is a Sara Lee bread that I like to use that is available in VA when I am visiting my daughter. 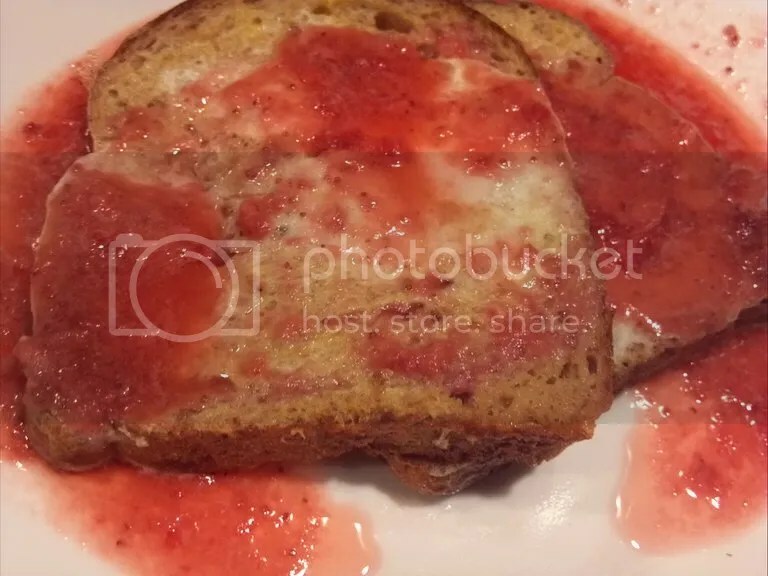 The strawberry sauce is enough for 4 servings with each person getting 2 slices of Heiner’s 35 wheat bread made into french toast. I will be providing both recipes here. If you are using the dehydrated strawberries place them in the water in the saucepan for about 20 minutes prior to cooking. Add Splenda and bring to a boil stirring often. Remove from heat and allow it to cool slightly. Place into your blender or Ninja and pulse until well mixed. Sit aside. Makes 4 servings. Mix egg, cinnamon, Splenda, Almond milk and vanilla in a shallow bowl. Spray a non-stick griddle pan and place over medium/hi heat. Allow to pan to heat. Dip bread into mixture and coat both sides. Place on griddle and cook both sides. Remove to plate and top with Strawberry sauce. Serves 1. I had gotten several banana peppers out of my garden today so I looked for a way to use them and I came up with this recipe. I hope you like it too. I used fresh eggs from my son’s hens that were free range and free of being fed any GMO grain/corn. I also used fresh meat from a local farm that does not feed GMO grain to their animals. I substituted almond milk for the milk and trust me that you will not taste the difference. This recipe is very light and healthy. I have added it to Map My Fitness for those tracking their calorie and carb intake there. 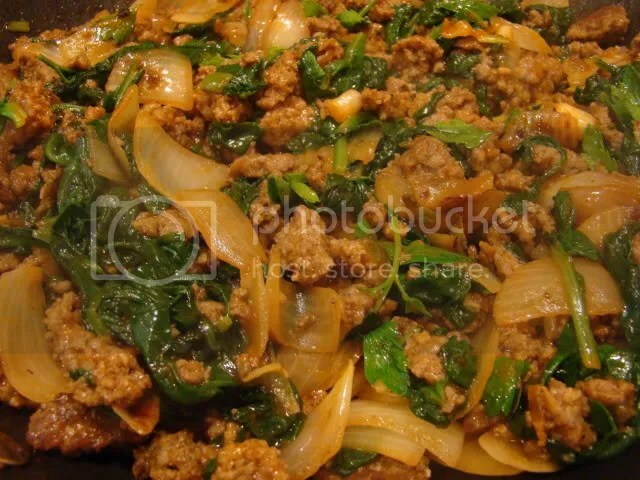 In saute pan cook ground beef and onion until meat is no longer pink and onion is soft. Drain grease. In the bottom of a 9×13 pan place half the banana peppers in bottom of greased pan. 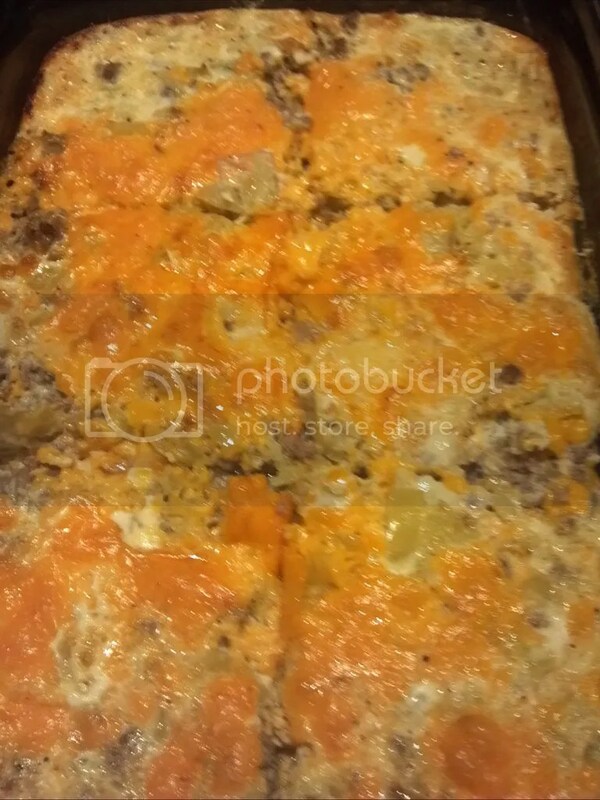 Top with half of the cheddar cheese and then all of the meat/onion mixture. Next top with the remaining banana peppers and cheese. Mix remaining ingredients well and pour over layered items. Bake in a 350 degree oven for 50 minutes. Serves 6. This recipe is a keeper. It reminded me of 2 different recipes. 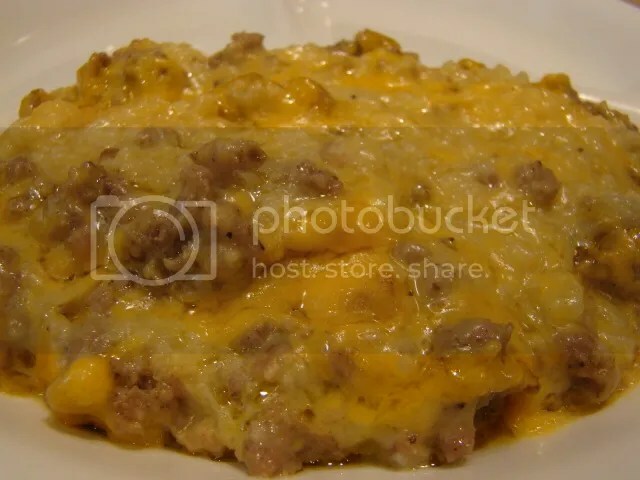 One was an old favorite of hashbrown casserole and another of Corn beef hash that I used to get at Golden Coral many years ago. The difference is this one doesn’t have potatoes in it and it is much lower in carbs. I am putting this in the breakfast category but we had it for dinner and it was also wonderful for that. I had to make two batches of this. One for me and one for Mike. His batch had potatoes and mine had finely chopped cauliflower. You will need to break out the food processor for this one to get the cauliflower into such small pieces. 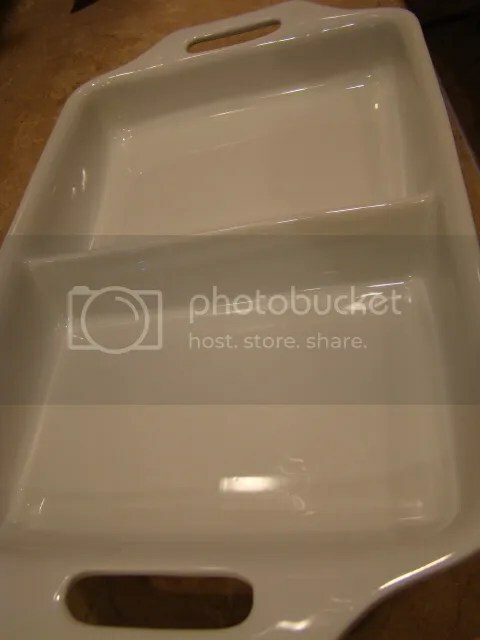 If you have someone in the house who doesn’t eat low carb this little two sided casserole dish comes in handy. Preheat oven to 350 degrees. Lightly spray a 1.5 quart casserole dish with vegetable spray. Brown sausage in a large skillet and drain grease. Stir together the soup, heavy whipping cream, water, onion, salt and pepper in a bowl. Place chopped cauliflower in bottom of casserole dish. Top with sausage and then top with soup mixture. Cover with foil and bake for 1 hour. Remove foil and top with cheese. Return to oven for 5 minutes to melt cheese and serve. Serves 6. Breakfast doesn’t have to be this hard to plan meal but it is something that you need to plan for. It is important to not skip breakfast. First of all if you are Diabetic you need to eat breakfast to keep your glucose from falling. If you aren’t a Diabetic you still need to eat so that in the early morning you aren’t grabbing junk from the vending machine at work because you are hungry. 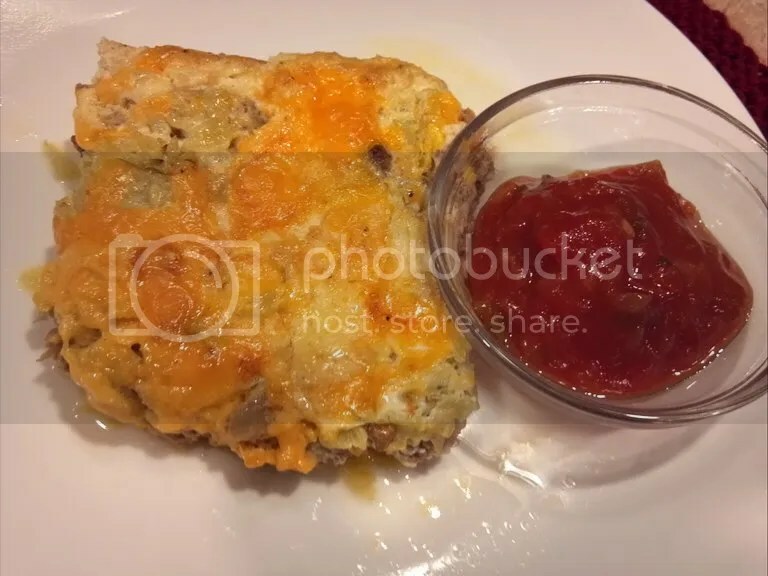 One recipe that I made last week and thoroughly enjoyed was Chilies Rellenos Casserole. Doesn’t this look good? 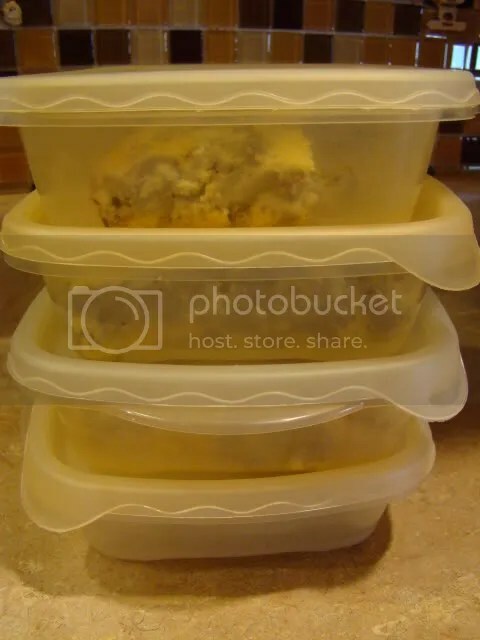 These are the individual containers that I prefer to use. They are thinner so it is easier to reheat and the portion size is perfect. They are made by Rubbermaid and are sandwich size. They also stack very well in the freezer. In a greased 2 quart baking dish arrange chilies in bottom of dish. Top with cheese. 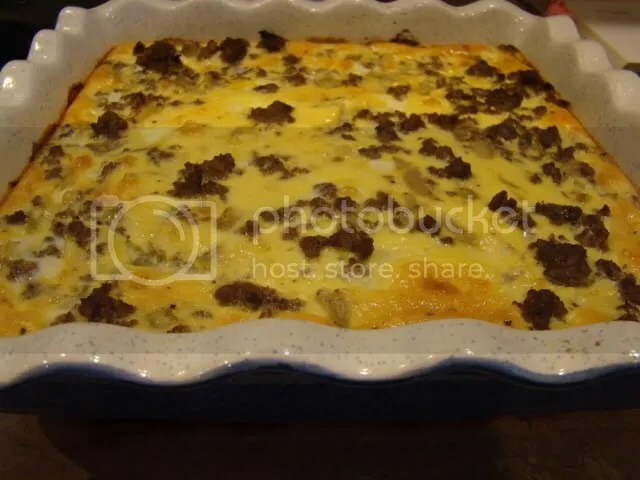 In a skillet, cook beef and onion until meat is no longer pink; drain and spread over cheese in dish. In a mixing bowl, beat remaining ingredients and pour over beef mixture. Bake uncovered, at 350 degrees for 45-50 minutes or until knife in center of dish comes out clean. Let stand 5 minutes before serving. Serves 6. Samantha and I thought it would be fun to offer you a choice of the same recipe made two different ways. You get to vote in the comments which one you would be more likely to make. If you do make it please let me know. Ask husband to cook the sausage while you prepare the other ingredients. Steal a kiss every time you pass the stove. Remove sausage from the pan. I took over all cooking while my husband did dishes and started cleaning up the substantial mess I can’t help but make when I cook. In remaining grease (add some evoo if it doesn’t seem like enough), stir fry onion, rosemary, and garlic for about 2 minutes. Add mushrooms and stir for a minute. 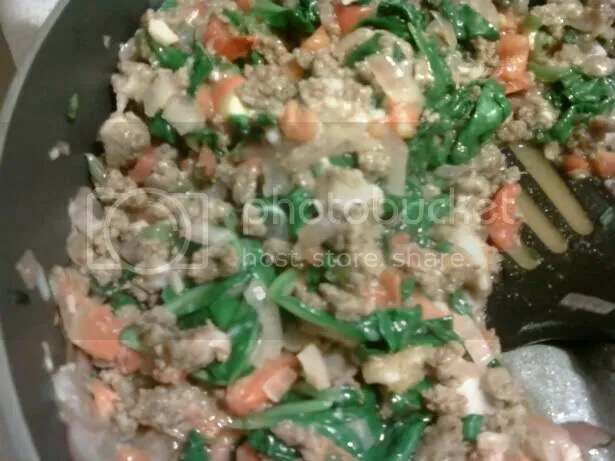 Add green onions, tomatoes, and spinach and stir until spinach has wilted/is done. Stir sausage back into the pan. Admire your colorful creation. I added some Parmesan Cheese to mine, but that’s because I add cheese to pretty much everything. Cook sausage in a hot pan until done. Remove sausage from the pan and add olive oil. Saute onion and green onion until tender. Add spinach and stir and cook until wilted. Add tomato sauce and seasonings. Return sausage to the pan and mix well. Cook another few minutes to blend flavors. Serves 4.